Verizon has announced that it is purchased former internet darling AOL for up to $4.4 billion. The company added that the deal will take the form of a tender offer followed by a merger, although AOL will become a wholly-owned subsidiary of the US telecommunication giant. 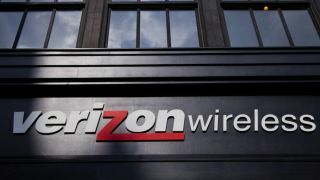 "Verizon's acquisition further drives its LTE wireless video and OTT (over-the-top video) strategy," the company said in a statement. The AOL deal has some wide-ranging implications given that the company has fingers in so many segments. It still has a massive dial-up user base of 2.1 million, a healthy portfolio of mainstream and tech publications (including Engadget and TechCrunch) as well as being a massive internet portal in its own right. Verizon also has big plans for video content on mobile. Although the specifics are yet to be revealed, acquiring AOL will quite possibly play a part in this. However, it's the end of an era for AOL, which has only declined in significance and value since being spun off from Time Warner in 2009.